Does hypnosis for social anxiety works? Can you overcome years of social anxiety just by listening to 20 minutes of hypnosis track every day? I was initially skeptical about hypnosis before undergoing hypnosis myself. I thought it was purely for entertainment but I am convinced now of its capability in rewiring our mind. Read my story of overcoming social anxiety and how I came across this hypnosis audio from HypnosisDownloads.com. Anyway, I’ve tried this hypnosis track as soon as I got the download through my email. It was when I felt my social anxiety made an ugly comeback. And I have a couple of social gatherings to attend within a week. Here’s the full review of this hypnosis download. The company behind HypnosisDownloads.com, which has been operating since 2003, was run by a team of trained and experienced hypnotherapists. It was lead by Mark Tyrell and Roger Elliot with over 40 years of experience between them. Their team of hypnotherapists has treated over 5,000 patients in one to one sessions. It has hundreds of hypnosis downloads and there are 10 titles on the subject of social anxiety alone. The good thing is, each title came along with a description on how the specific problem they are supposed to overcome. If you are suffering from social anxiety, you’ll know how it feels like when meeting strangers in social events. As I browse through the various titles, I came across “Overcome Social Phobia” which promises “retrain your unconscious mind to respond to other people with calmness rather than anxiety”. The fact that it has been downloaded over 3,000 times and backed with testimonials gave me the confidence to give it a try. The purchase is simple and quick process, no forceful upsells but with a kind reminder that you’ll enjoy more savings for multiple track downloads. When I was on the download page, I got a fine surprise my purchase came with a bonus Self Hypnosis audio. I’ll highly recommend you to try out the SelfHypnosis first before your proceed with the Overcome Social Phobia audio. The bonus SelfHypnosis track trained you to get into the hypnotic state by yourself with properly guided instruction. That process itself is hypnotic and you’ll end up feeling focused and calm. I find it a better experience to undergo a full hypnosis induction before listening to the Overcome Social Phobia hypnosis download. Having said that, it’s extremely important for you to know that your experience of being hypnotized may not be the same as mine. Some people find it hard to enjoy the hypnotic state as they have tougher time focusing on the instructions or simply mentally reject the idea of hypnosis. In this case, I’ll suggest developing some focusing power by practicing guided meditation. While I wouldn’t guarantee that it will work beautifully for you, it definitely works for me. I was having a relapse of my social anxiety disorder after a year, and my mind was pretty stressed up about upcoming events when I plugged on my headphones. The instructions are easy to follow as Mark Tyrell guided me gradually into a hypnotic state. I must say that his method of hypnosis is different from most that I have listened to. Mark Tyrell’s hypnosis process is subtle, and you don’t feel the sudden “plunge” into a deeper state of hypnotic trance. It’s more like a gentle slide there but equally effective. When I’m in the hypnotic state, Mark Tyrell guided me to form the feeling of dignity and gradually embraced it. If you’ve been struggling with social anxiety for long, this feeling of dignity will empower your self-esteem in a way that you’ve long forgotten. I was then hypnotized into another mental image of social gathering where I was being my social best. I was then hypnotized into another mental image of a social event where I was being my social best. As I absorbed the emotion of staying in control, brimming with confidence and excelling in social situations, Mark lead me to retrieve a memory of the worst social event that I’ve ever encountered. But with my mind imbued with new confidence and dignity, I felt not a single thread of fear or awkwardness revisiting those memories. At the end of the session, I opened my eyes and realized that I was in a very different state compared to prior hypnosis. I am calm, collected and confident. I wouldn’t go to the extent to claim that 20 minutes of hypnosis cleared me of my social phobia completely That would be ridiculous. But there is a visible change in my mental state as I go about my daily chores and being in public. I no longer avoid eye contacts and conversation. I was almost comfortable with greeting strangers. There are however a couple of downsides where I find could lead to a less than satisfactory for users who have not been hypnotized before. The hypnosis induction stage of the Overcome Social Phobia audio is too short for my liking. When your mind is not calm, it takes 5-10 minutes to get into the hypnotic zone properly. But they have made it up with the free self-hypnosis track. There are also gaps of silence (10-20 seconds) where Mark coaxed your mind into imaginary events where you should feel and absorb the positive emotion that you felt. You could easily lose your focus there. I almost thought that I had a faulty download, only for Mark to continue with the hypnosis session. The following pros and cons are derived from my own experience. You feel confident and calm after the session. Simple, easy to understand narration. Effective. Results of hypnosis are visible in daily thoughts and action. Affordable. Cost less than medications. You only need 20 minutes a day. Doubles up as natural remedies for stress release. 90 Days money back guarantee with no questions asked. Gaps of silence in parts of audio may distract your thoughts. Hypnotic induction may be too short for some. SHOULD YOU DOWNLOAD THIS HYPNOSIS FOR SOCIAL ANXIETY AUDIO? Again, I should stress that I am not a hypnotist, hypnotherapist or a specialist in anxiety treatment. I am only speaking from my experience of someone who struggled with social anxiety since my teen while mistakenly thinking it was being introverted. I am self-diagnosed with above moderate self-anxiety. I have overcome my disorder before with expensive energy healings and other self-help programs. This is probably the best solution that works for me in terms of price, time and effectiveness. are tired of spending countless hours hunting for hypnosis that actually works for you on Youtube. believe in self-help whenever possible when treating your social anxiety. tried positive thinking, motivational book, and “facing your fear” without positive results. believes that consistent hypnosis will rebuild your neuron pathway in a constructive manner. Personally, I’ve tried and believe that hypnosis for social anxiety works. If you decided to get this Overcome Social Phobia Hypnosis download together with a FREE Self-Hypnosis audio, here is the link. Either way, I wish you all the best in overcoming your social anxiety. Have you ever been diagnosed with social anxiety? Or do you know someone who is suffering from it? If you have used hypnosis as part of your self-help treatment, do share your experience here. I know first hand what it feels like to suffer from social anxiety in particular. Large groups of people and social settings are something that I typically try to avoid to prevent those overwhelming feeling of anxiety. I was interested in your review of hypnosis because I have never tried a method like this to overcome anxiety. I think i will look further in to this, thank you for the good information. Thank you for checking out my post. I hope you find that it helps. This is an interesting review, on a way to tackle anxiety. As someone who has experienced some anxiety in the past, I believe it’s an intriguing alternative/remedy to combat the symptoms. I’m not sure it will however cure the anxiety, as oppose to just give relief to the symptoms. Do you believe it’s can become a permanent fix, and curing it all together? I’m a firm believer that the root of the problem must be cleansed in order to truly heal the problem. To be honest, I do not have the question of whether does it totally remove the root cause. But any sort of therapy or remedies must be applied consistently. It doesn’t take a day for me to develop anxiety so I have pretty realistic expectation here. I also read about neuroplasticity. And how meditation could rewire our brain in different ways. Hypnosis is another form of mind techniques that guide us to a meditative state. I suspect that with consistent practice, it will constructively change our thoughts pattern. Permanent is too big a word for me. Despite seeing claims from NLP practitioners to be able to do so. I’ll just keep an open mind and do what works for me now. thanks for this detailed review from a user’s perspective of the anxiety hypnosis programs. sounds like it’s a great tool to help people understand and let go of different kinds of anxieties. I like that this treatment is self-directed and not as expensive as therapy and medications. of course, there’s a lot of value to both therapy and medications especially for the severely mentally ill. but this could be a good adjunct therapy for them! For severe anxieties, one should always get professional help. I’m glad that mine is above moderate but it does hit severe once or twice. I just find this something that I can do on my own. Maybe it’s because I dislike the sense of total dependent on others for my own condition. 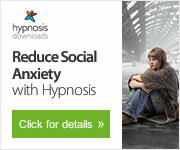 I can see this hypnosis working to eliminate many of the symptoms of social anxiety. I am also a firm believer in going to the root of the problem. The real problem with social anxiety, in my opinion, is activation of the fight or flight response. You are not born as a baby being plagued by this dysfunction. You might have a genetic tendency to be more sensitive to other people’s comments, but it isn’t debilitating. You then have traumatic experiences where whenever you encounter a similar situation your brain generalizes that this isn’t good. Remember when Gillian yelled at you and embarrassed you. This situation is similar you better fight, freeze, or take flight. If hypnosis can reprogram the brain to not activate this reaction it could be of great benefit. Hypnosis has done great in eliminating fear based behavior for me. Once it’s gone for good, I found myself enjoying social events and public speaking. Hi Kenny, You have given a good review of the Anxiety Busting process of Hypnosis. You have described a bit about your own trance experience which is a really great way to help others overcome any “anxiety” they might have about Hypnosis itself. I have experienced and guided others through many hypnotic “journeys” so to speak and my own experience and that of my clients confirms what you say, that reprogramming the habitual thought patterns is comfortable and relaxing when using hypnosis. Anxiety patterns respond well to hypnosis because the process itself induces a state of relaxation that is the opposite of anxiety. The neuroplasticity of our brains means that we can constantly be learning new things. It’s just as easy to learn to relax as it is to learn to ramp up the body into fight/flight mode. 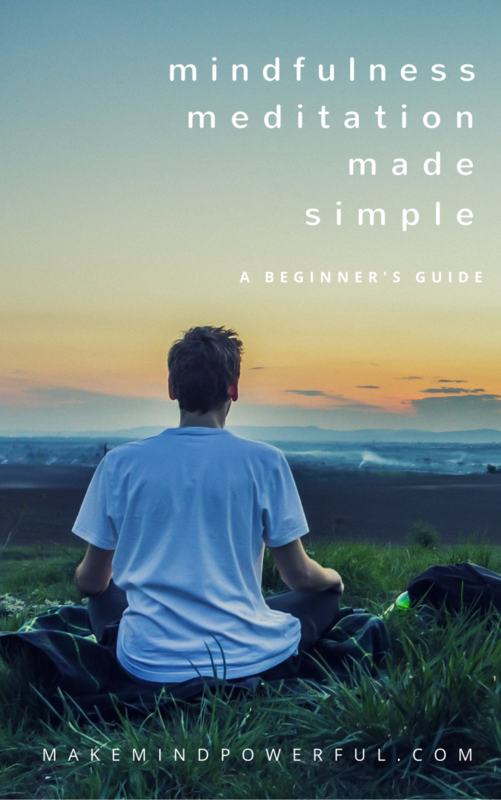 I have taught many others to just give themselves the post-hypnotic suggestion using the word “relax” anywhere or any time they feel an uncomfortable state of anxiety, frustration or anger building up. Usually a person can notice that type of high intensity state beginning to build up. You can interrupt it just saying the word “relax” and taking a few deep breaths. We can all benefit by utilizing any good word tools we can find or dream up to help ourselves stay relaxed and happy. The benefits of good health and well-being are totally worth it! Thanks for sharing your experience as a hypnotist. I hope more would understand this scientific approach instead of being influenced by what they saw on mainstream TV or stage performance. I’d never heard about hypnosis being able to help anxiety before. As someone who has suffered with social anxiety for years this approach sounds very promising. I have tried soothing music before with little success, but this looks like it can have an impact on a deeper level, which is what i think i need. It was something relatively new to me but it has been working well in dealing with relapse. Thanks for reading.